Grandstand Reserved seats are located in rows B-F of the grandstands. 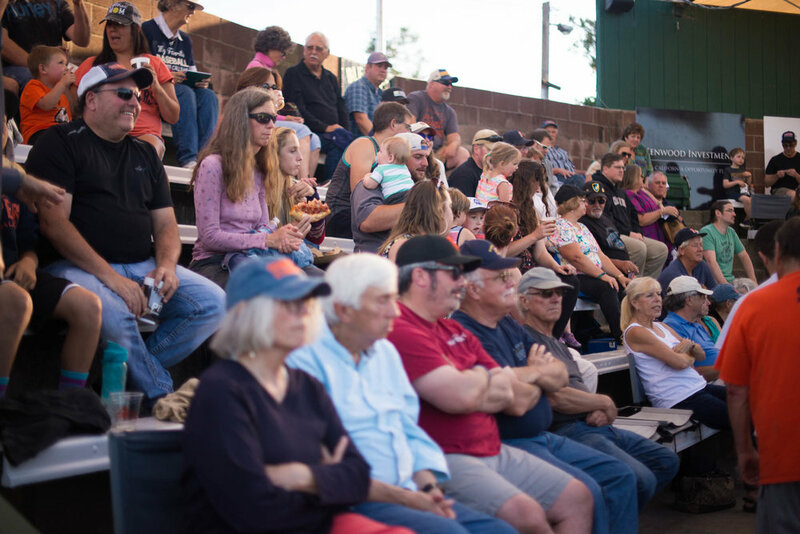 Shade screens help create a cool atmosphere, while raised benches offer a superb view of Stompers baseball. Located in the front row of the grandstands, Diamond Level seats are shaded and feature cushioned stadium seats with backs. Front row real estate also means extra legroom & easy accessibility. The Leese-Fitch Wine Lounge is Arnold Field's premier seating section. Shaded tables, comfortable chairs and catered seating provide a level of customer service fit for wine country.